Hardcover, 9.5 x 11.75 in. / 208 pgs / illustrated throughout. The Human Factor: The Figure in Contemporary Sculpture brings together the work of over 25 leading international artists, in whose practice the human form plays a central role. 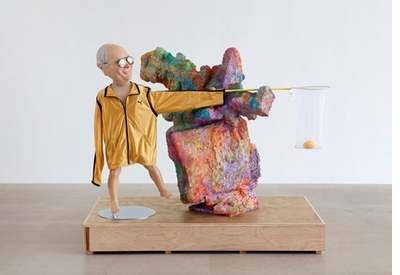 Over the past 25 years, artists have reinvented figurative sculpture by looking to earlier movements in art history as well as imagery from contemporary culture. Setting up dialogues with modernist as well as classical and archaic models of art, these artists engage and confront the question of how we represent "the human" today. In these works, bodily forms hover between familiarity and an unsettling otherness, between signs of presence and absence, agency and objectification, as artists find novel ways to question our commonplace codes of subjectivity and to challenge our impulse to identify with the anthropomorphic. Eschewing concerns related to psychological portraiture, these artists use the figure as a catalyst for evoking far-ranging content, including subjects spanning political violence and mortality to sexuality and voyeurism. 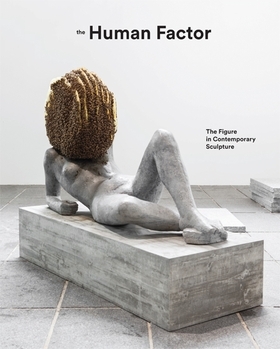 A unique survey of contemporary figurative sculpture, this profusely illustrated volume features works by Pawel Althamer, Frank Benson, Huma Bhabha, Maurizio Cattelan, Urs Fischer, Katharina Fritsch, Ryan Gander, Isa Genzken, Rachel Harrison, Georg Herold, Thomas Hirschhorn, Martin Honert, Pierre Huyghe, Jeff Koons, Paul McCarthy, John Miller, Cady Noland, Ugo Rondinone, Thomas Schütte, Yinka Shonibare, Paloma Varga Weisz, Mark Wallinger, Rebecca Warren, Andro Wekua and Cathy Wilkes, among others. 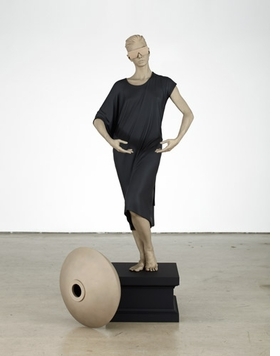 "Human Statue (Jessie)" (2011), by Frank Benson, is reproduced from The Human Factor. FORMAT: Hbk, 9.5 x 11.75 in. / 208 pgs / illustrated throughout.